In many parts of the world, quail is a common and enjoyable menu item. 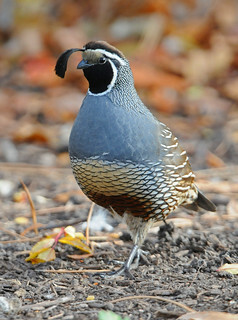 Quail can be purchased in markets, hunted, or raised at home with the right care. For those who are talented hunters and enjoy rising early, quail is extraordinarily common game. With the many different ways to prepare quail and their eggs, it is a wonderful and affordable staple protein just as chicken is. When searching for quail in stores, it is important to keep in mind that most marketed quail is farmed. Therefore, it will not taste quite the same as wild or free ranged quail. I personally have not seen quail in the grocery store, but then again, I have not looked for it. Our store has a wide range of meat options, so it is entirely possible that quail is available, at least part of the time. I will have to look next time I'm in the store. Hunting for quail is a common sport throughout the world, as quail are a very common species and a day's hunt could feed the family for a few days. For those who prefer the flavor of wild-caught game, hunting is the best method to obtain fresh quail. Quail hunting in Alabama is a popular sport, so there are many hunting spots that offer an incredible amount of game. Hunting will provide the freshest meat, aside from raising the birds at home. Raising quail at home is the second best way to obtain fresh quail for meals. For those who have adequate room and are not in an urban setting (unless the laws allow for raising quail), quail can be fairly easy to hatch and raise at home. As long as they are housed properly with the right feed and adequate shelter, it will only be a short time before the family is able to enjoy the very first harvest. This is the most hands-on method and it will require the most work. Quail is a great protein to add to your family's meal rotation. Variety is key to a healthy diet, so add some leafy greens and another vegetable option for a delicious, wholesome meal!